We have some top tips below on how to take photos with your dog that will be worthy of Instagram fame! It may seem obvious when thinking about how to take pictures with your dog that you both need to be relaxed. All experienced dog owners will know that dogs very quickly pick up on any signs of stress. Ensuring you are as relaxed as possible will be a good start. Ensure you create the right environment for your dog – if you have lots of friends or family shouting for Barney to ‘sit’ then it’s unlikely you’ll get a good shot. 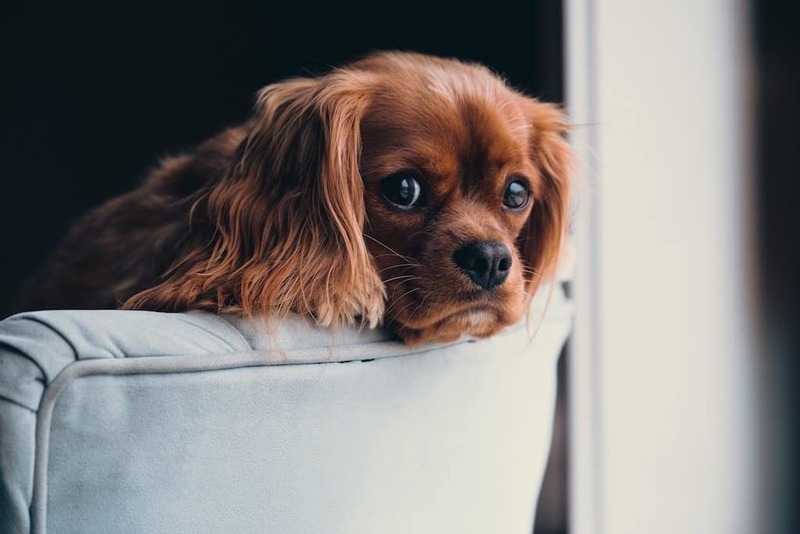 Your dog’s temperament will be a factor here, as the more highly strung dog may just take a little longer to get comfortable. Think about the camera as a new toy – if your dog has no or little experience in front of a camera then you should try and get them comfortable with it first. This may involve letting your dog sniff the camera so it quickly realises it is not a threat. Getting your dog used to the noise the camera makes is also important so that you do not get any unwanted reactions as the camera clicks for the first time. Being quiet is one of the best tips for photographing your dog. Nonverbal communication and short commands will be most effective; the quieter and calmer you are the more likely you’ll get your perfect shot! You may not need to offer the salary that the likes of Kate Moss may demand, but some kind of incentive is important so that your dog gets the benefit out of the experience. This may be as simple as using your dog’s favourite treats or introducing your dog’s favourite toy, as well as lots of attention and affection. Whilst this is an important tip for photographing your dog, it is worth remembering that all dogs are individuals and so tailor your incentive accordingly- you know your dog better than anyone. Getting the perfect shot of your dog involves being at your dog’s level. Often owners will stand over their dog to try and get the perfect shot. When taking pictures of friends and family it is unlikely you would position yourself above them, so why do it with your dog? Get low to take the perfect shot at your dog’s level. This helps create a more natural shot and if you’re looking into the eyes of your dog its likely you get a very individual and touching shot. It goes without saying that your dog’s health should be your first concern. Think about your dog’s age and ability before you start planning your shot. For instance, making an arthritic dog sit for long periods is not a good idea. Think about stress levels, and if at any point it seems your dog is at all agitated or tired then you should stop for the day. Trying to get the perfect photograph of your dog can be a frustrating process but one that will only become more frustrating should it be an unenjoyable experience for your dog. Unless you have Lady Luck on your side it is very unlikely you’ll get the perfect shot of your dog first time. Taking lots of the same shot gives a much higher chance of success, and you may even get an unexpected facial expression which could end up being the best shot. You can take pictures of your dog anywhere and your home is a great place to start. Think carefully about the background, clutter can be unsightly when you review the pictures afterwards, and even worse can detract from your dog. Colour is another important consideration – positioning your golden retriever against a yellow wall may not be the smartest photography tip! Ideally a background that can blur out of focus leaving the dog in focus is the best way forwards. This may take some minor planning and tidying up but it will be worth it in the end. For a truly awesome picture that really captures your dog, and possibly you as well, think about what you want to communicate. This may be one word such as kind, or tenderness. You can then translate these ideas into reality. For example, you may want your dog to look eager, so put a treat or toy nearby and make your dog wait. This will create a great photograph of your dog looking on with real wanting. Taking the time to come up with some ideas can really pay dividends in the long term. Now that you have some tips we would love to see the results! Share your doggie photos with us on our Facebook page or by using #oscarandhooch on Instagram!